Starting in 2019, all Xtracycle cargo bikes will come with the Kickback 3 kickstand, hence the increase and why they may be a bit more $$ than competitors bike that doesn't come with a kickstand or it isn't a very nice one. • Tested to exceed the rigorous ISO4210 global safety standard and must score a perfect 100/100 in the eagle eyes of a quality-control expert with a pass/fail checklist dozens of entries long. 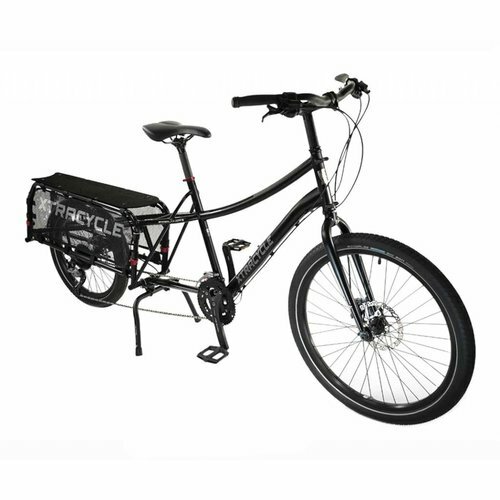 • Comprehensive Super-Modular Accessory System - No other cargo-bike or utility-cycling company offers such a wide array of accessories or makes sure that its systems are as backward-compatible as possible. 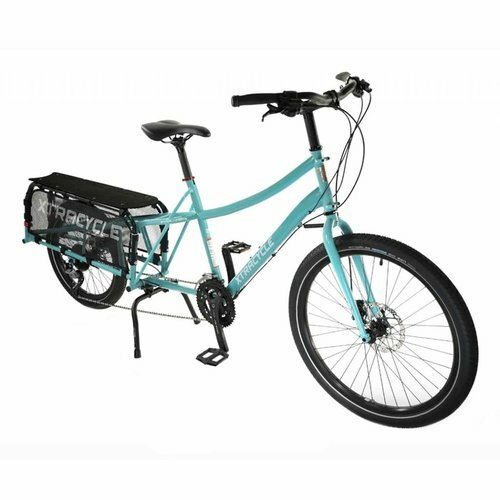 Swoop or Classic Xtracycle EdgeRunner? Which one? The Swoop is our newest frame design, with a lower “step-over height,” so it’s easier to get on and off, even when the bike is fully loaded. That said, the Classic was also designed with a relatively low step-over height, compared with many other bikes. The Classic will also be a better fit for taller folks. (See our sizing table below. ) And, yes, to some degree the choice is an aesthetic one. Swoop S 26" to 30.4" 4'9" to 5'7" 4'8" to 5'6"
Swoop M 29.6" to 34" 5'5" to 6'3" 5'4" to 6'2"
Swoop L 31.4" to 35.8" 5'9" to 6'7" 5'8" to 6'5"
Classic S 27.6" to 31.9" 5'1" to 5'10" 5'0" to 5'9"
Classic M 31.2" to 35.5" 5'9" to 6'6" 5'8" to 6'5"
Classic L 33" to 37.3" 6'1" to 6'10" 5'11" to 6'9"
We started riding the Xtracycle Freeradical in 2008 and after testing DOZENS of longtail bikes we can confidently say that Xtracycle makes the best one. No corners cut, safe, durable, great riding, and what else would you want from a bike that carries your most precious cargo? 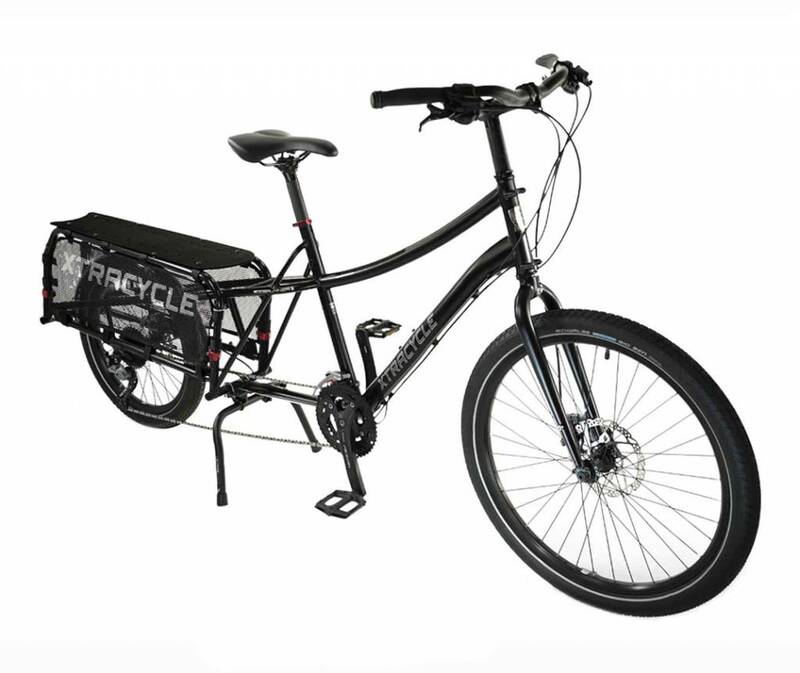 Founded in 1998, Xtracycle invented the modern cargo bike. Since then, they've worked relentlessly to create superior bicycles that feature an innovative modular accessory system, so you can easily adapt your Xtracycle to your unique lifestyle.